It was my stepson that found this, and we made sure to document it with my ancient digital camera. 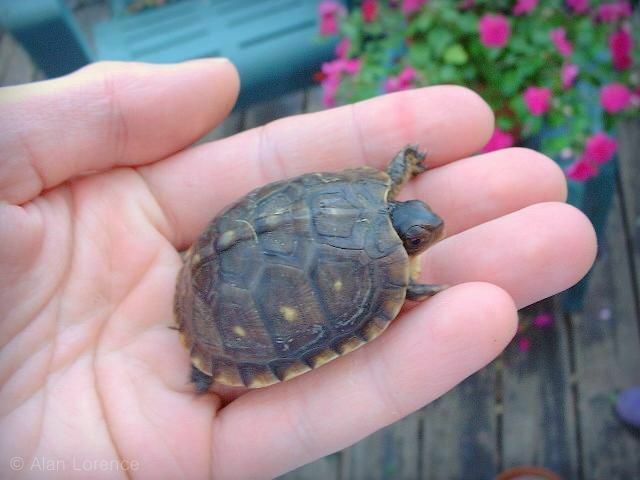 Is this a 2-year old turtle? ...but I'm young and resilient. Since box turtles can live 50 years or more, this could be one of the mature turtles I've just seen! Once maturity is reached, the chance of death seems not to increase with age. 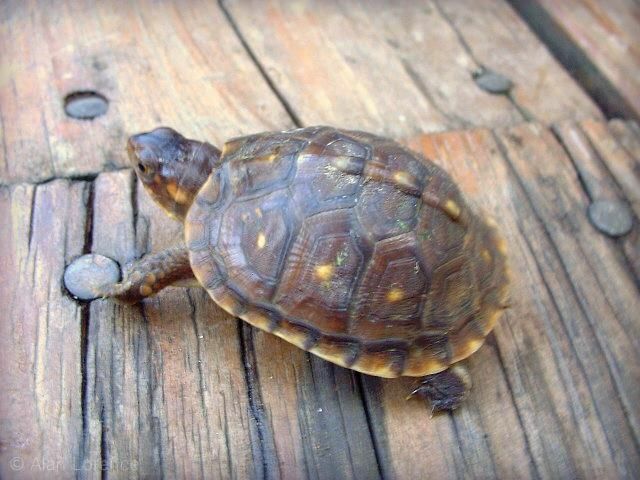 The survivorship curve of box turtles is therefore probably similar to that of other long-living turtles. 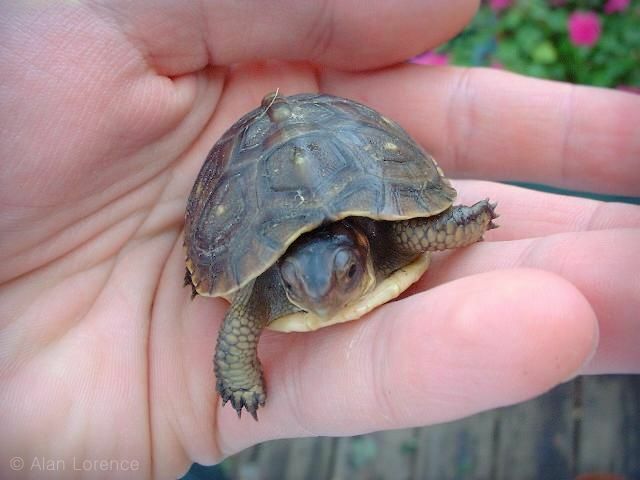 The average life span of adult box turtles is 50 years, while a significant portion lives over 100 years. 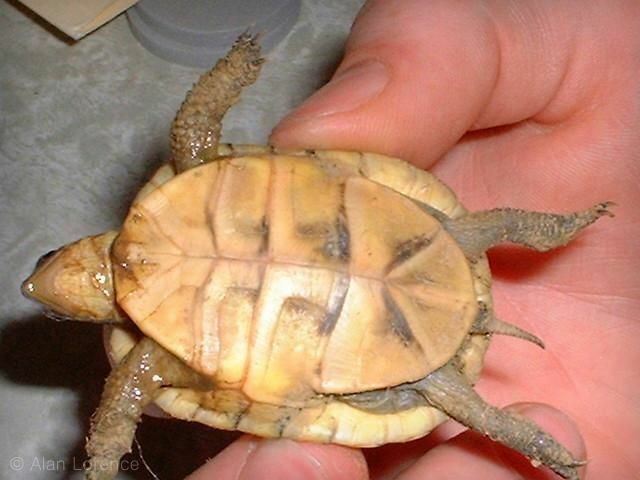 The age of a growing box turtle in the wild can be roughly estimated by counting the growth rings on the scutes; the plastron is the best place to do this because it also allows examination of wear pattern. However, the rate of 1 ring per growth season has not been fully confirmed, and estimates beyond 20 years are unreliable because the scutes is usually worn smooth. 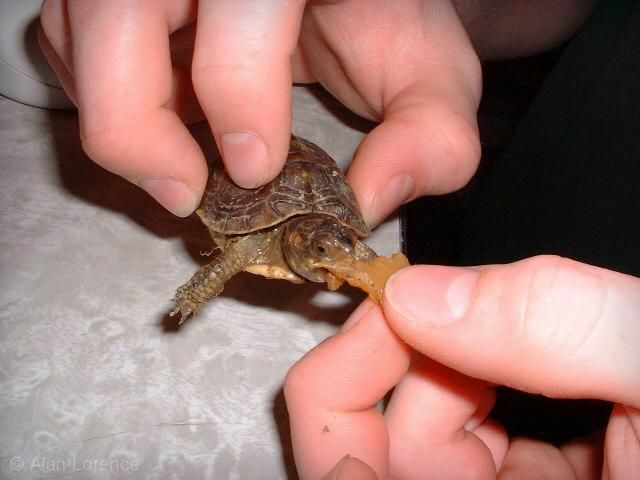 I wish I had the photos of baby turtles that hatched at my parent's house years ago. I remember them as the size of a penny, but they're actually more like quarter size. If you find a sandy place in your garden, then that's where most likely a nest will be. I've seen painted turtles use sand on the side of the road for their nest. 2"x4" frame covered with hardware cloth over the nest with a huge rock to keep varmits out will help the eggs survive. So sweet! Fingers crossed for you to find more babies. I've never seen turtles here in the city. They probably don't like traffic much. 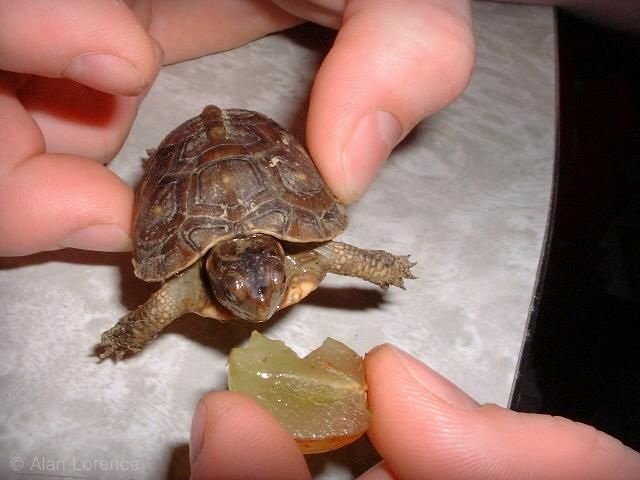 Do you know kind of turtle that is?